Anything to do with buying and selling cars tends to come with a lot of stress. You want the job done right, to get a fair price and come away from the whole experience feeling content. Selling your car, especially if it’s the first time, can be a particularly daunting experience. Who to? Where? How Much? At the end of the day, you just want the car gone and the money in your pocket, preferably with the least hassle possible. If your priority is getting things done quickly, there’s a five-step plan to ensure a swift sale of your motor. A full clean inside and out, with all clutter removed. If time is paramount, go for a full valet from a professional service. This will save you time, but at a cost. Repair any minor damage or mechanical faults. Again, the garage is there if you need it. 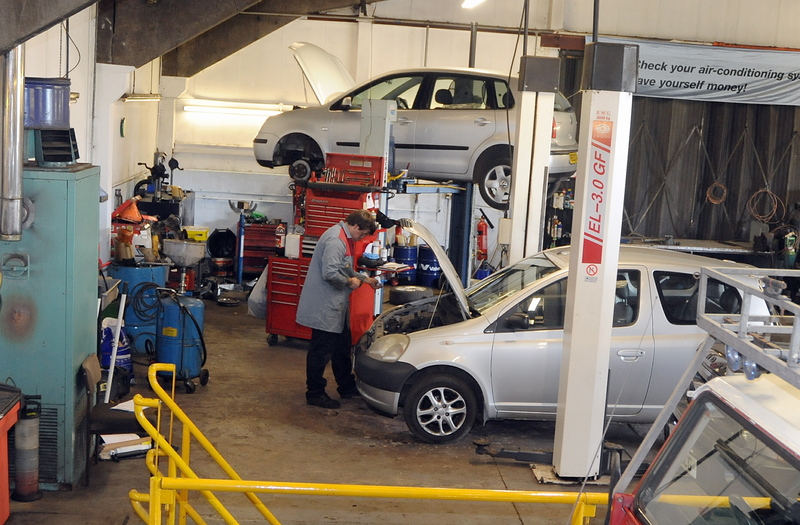 Consider a new MOT if the car is running close to the end of it’s current one. These can usually be booked and done within 24 hours. If you are going to rely on professional help to get your car spick and span, bear in mind the costs of these services adding up against your sale price. To generate some serious interest, you need to find an accurate value for your car and list it at a very competitive price.You can go online and look at cars for sale and base a price off those, but the best way to know the value of your car is to use a car valuation service. To achieve a quick sale, set a sale a value below that of the valuation. This should be a price you are happy with in exchange for a fast transaction. For example, if you’re selling a car valued at £2500, with similar models listed online as low as £2400, consider putting yours on at £2350 to catch the eye of bargain hunters. These days, when it comes to selling your call privately, it’s not just a case of putting a ‘FOR SALE’ sign in the window and sticking the car on a busy corner. There are a range of selling sources to pick from, and you should be using as many as possible to maximise attention from potential buyers. As well as advertising on the car itself, use your local paper, post on local bulletin boards and use sites like Autotrader, Gumtree, Craigslist and eBay. You can even use the market sections on social media pages like Facebook, it could mean you catch the right person causally browsing. When it comes to listing your vehicle online, the more detail and work you can put into your advertisement, the better. Think about the quality of your photographs (the right angles, good lighting, a good location) and take as many as you need to cover the car in its entirety. In your text, give as much detail as possible, be honest about the car and make sure to highlight its best points to build confidence in the buyer’s mind. Be quick in your response to any calls, enquiries and questions, and make sure buyers know you’re open to viewings and test drives. The more information the buyer has, and the easier the process is for them, the more likely they are to make a quick move. If, for whatever reason, your car hasn’t managed to sell quickly and you’re out of ideas, you can always use professional services to take it off your hands fast. You can use a professional car buying business like We Buy Any Car, who will buy the car from you in a completely hassle-free transaction. This will, however, cost you a serious chunk of your sale. ‘Which?’ found you could lose up to a staggering £2000. You can send your car to auction, but you risk selling on a bad day and someone getting a steal on your vehicle. There’s also the auction house’s commission to take into account. Finally, you can sell to a dealer. Selling to dealer, rather than part-exchanging, will be quick and painless, but the dealer will buy based on the car’s trade value, meaning you won’t get the best price. With such a large amount of selling options available to you, it really shouldn’t be too hard to get rid of your car swiftly. When it comes to how fast you want it done, it’s a case of finding the right balance between a price and timeframe you’re happy with.